Carol Klukas and her husband have been sponsoring children through World Vision since the mid-1990s. They’ve enjoyed watching their sponsored children grow, sending birthday cards, and hearing about the work World Vision is doing in each child’s community. For years, Carol was only aware of the child sponsorship aspect of World Vision. But after she retired, an email from World Vision Advocacy got her interested in doing more. “Now I’m seeing the whole thing from a completely different aspect: working with the U.S. government,” she says. As a World Vision Volunteer Advocate, Carol has learned how U.S. foreign assistance strengthens the work World Vision is already doing. These funds, when combined with donations and grants from private foundations, allow World Vision to do even more to help families lift themselves out of poverty, including the children Carol sponsors. Carol had always admired people who did advocacy, but she didn’t think it was for her. “Attending rallies and that sort of thing, that didn’t seem like a way for me to serve. But this is writing letters and attending meetings—that feels more like me,” she says. World Vision’s approach to advocacy is relational, biblical, and love-first. 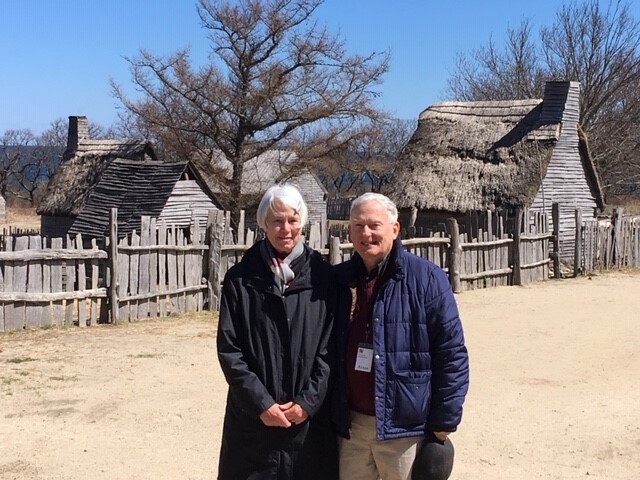 Carol understands this approach; she spent years building encouraging relationships with potential students at Nashotah House Theological Seminary where she worked as the director of admissions. She enjoys writing letters and talking with people, and she wants her faith to come first. “It’s not about, ‘Are you being successful?’, it’s about, ‘Are you serving the Lord?’ World Vision just has that attitude,” Carol says. In fact, one of the first things Carol was asked to do as a Volunteer Advocate was simply to send a card to her representatives, encouraging them and wishing them a happy holiday season. Her next assignment, however, would be a little more challenging. As the Congressional budget process began for fiscal year 2020, World Vision staff reached out to Carol to ask if she would be willing to schedule a meeting with her representative’s office. Carol’s representative, Congressman Bill Keating, serves on the House Foreign Affairs Committee, overseeing foreign policy decisions that have far-reaching effects for children and families living in extreme poverty. As one of his constituents, Carol had the unique opportunity to ask him to use his influence to benefit those children and families. Carol was happy to have an opportunity to make a difference. But that didn’t mean she wasn’t nervous. To prepare for her meeting, Carol learned more about U.S. foreign assistance, the Global Fund to End AIDS, Tuberculosis, and Malaria, and how the budgeting process works. World Vision provided her with plenty of support, including talking points, handouts, and prayers. On the day of the meeting, Carol brought her husband along for moral support, but she was ready. She had her plan, and she knew World Vision staff were praying for her. Carol kept her message simple: She explained the importance of foreign assistance funding and strong U.S. leadership for the Global Fund. 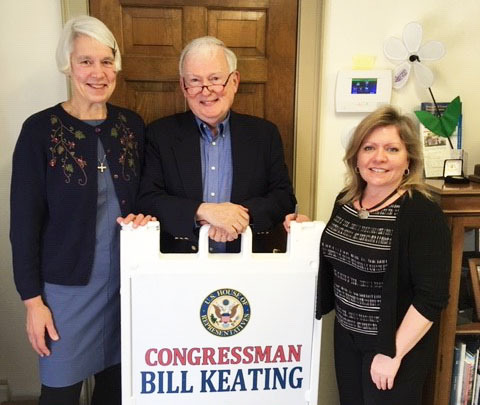 Deputy District Director Karen Wasielewski, the member of Rep. Keating’s staff who met with Carol, was genuinely excited about the new information Carol shared. As a Volunteer Advocate, Carol uses her Christian convictions and her experience building relationships to amplify the voices of the children she sponsors. And by speaking out, she increases her impact. Because of Volunteer Advocates, the voices of children and families living in extreme poverty are amplified for our nation’s decision-makers to hear. And God works powerfully through advocates and the gifts they bring. Thank you, Carol, for answering that call! ← What does faith-rooted advocacy look like?